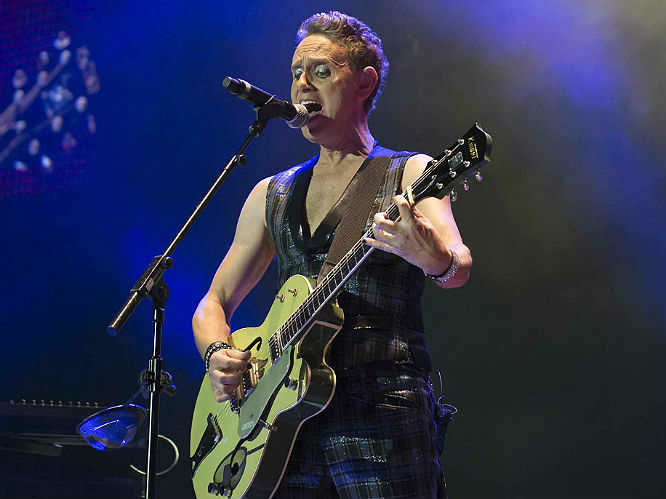 After three decades and selling 100 million records as one of the principal architects behind Depeche Mode, Martin Gore could be forgiven for wanting to set down his synths for good. However Gore, long having left Basildon behind to live in Santa Barbara, remains creatively restless. 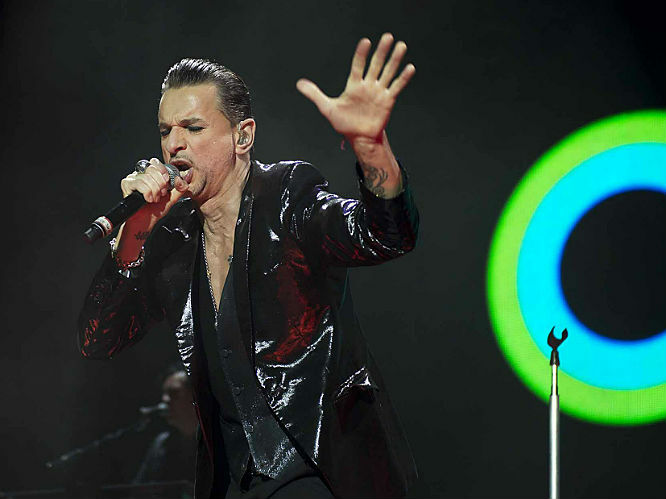 His extraordinary solo album MG, released on Mute Records, shows that the songwriter behind 'Enjoy The Silence' has lost none of his power to astound. "I wanted to not fall into the trap of having it sound too samey," Gore explains down the line from California. "I think the danger with making an atmospheric instrumental album is that it becomes a bit bland over the course of a whole album. So I was very aware of trying to make each track a piece in itself and feel quite different to everything else on the album. 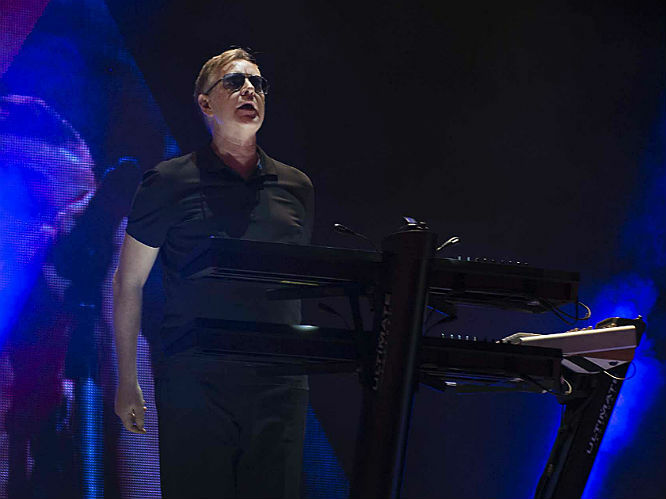 That was the goal: to have such diverse influences coming in on each track and different moods." He's certainly succeeded with the album veering from the crunchy electro of 'Crowly' to the ambient sounds of 'Featherlight'. 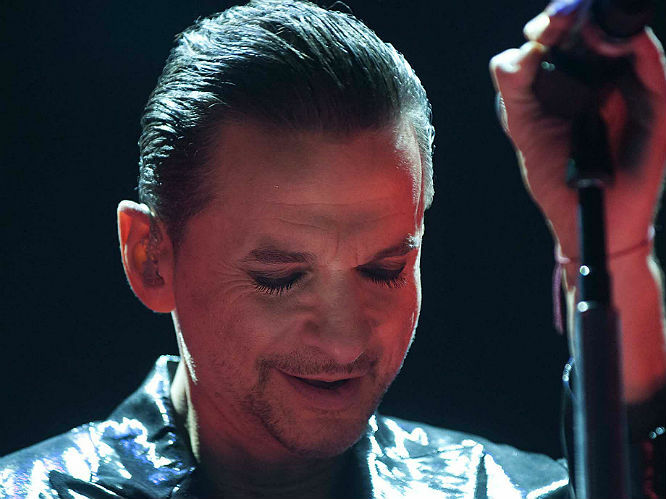 To mark the release, Gigwise talked to Gore about tribute bands, his admiration of The Killers and why an Apple update may stall the new Depeche material. 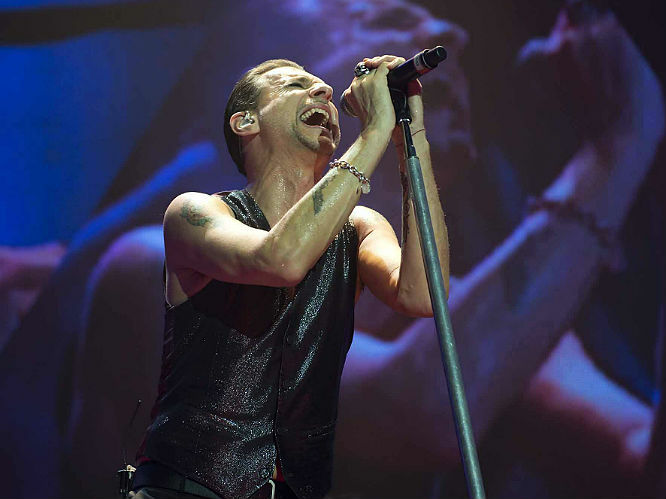 Gigwise: How often do you hear your work in the work of others? 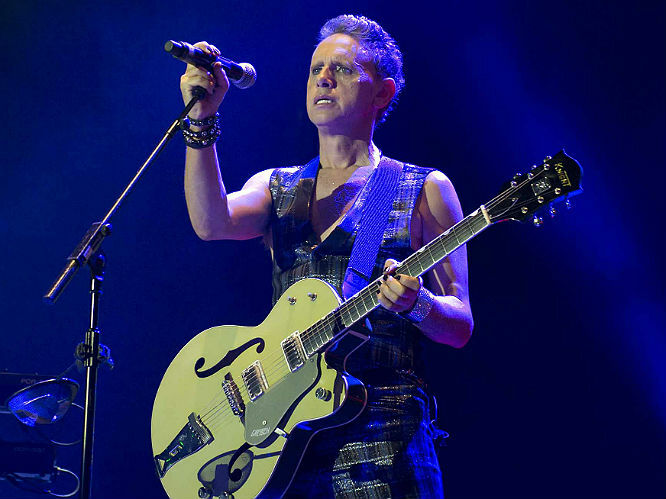 Martin Gore: There are a lot of bands that cite us as influences and a lot of bands that journalists will say are obviously influenced by us. I struggle to hear the connection. But then there are other bands that are maybe not so famous maybe that I'll hear and think "That's a complete ripofff!" There was a band in Russia during the Nineties - I don't know if they are still going - they were so like us, down to the finest detail. 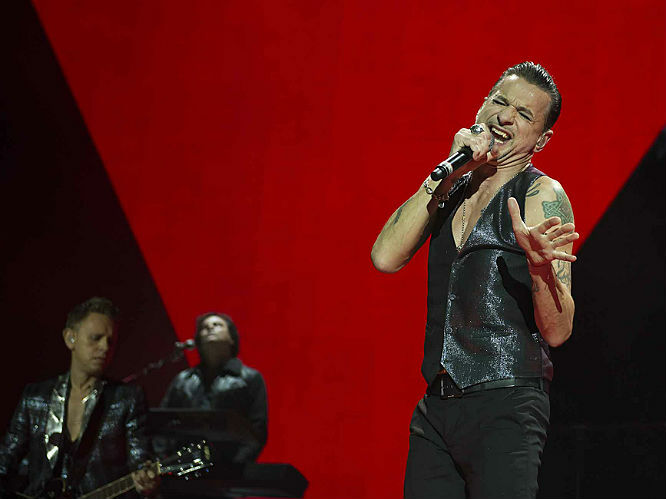 Even the guy singing - he was singing in Russian but he had that baritone voice like Dave. Another thing that's really strange these days is the tribute band phenomenon. I don't know if you're aware of the number of tribute bands we have. They do it to such fine detail that's it's scary. It gets to the point where you start questioning "Is this good for us or is this bad for us?" There's a band and I actually know some of the guys in it because if I DJ they'll come along. They're obviously big fans and they've got a band in LA. I've never actually seen them live but I've seen quite a few videos online. You can go and buy tickets on Ticketmaster and they play to very big crowds. 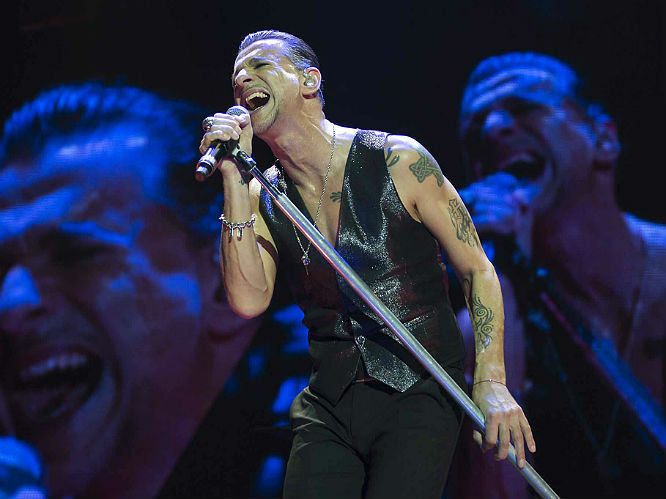 It's called 'The Depeche Mode Experience'. They have videos that they've made, screens behind them, it's like a full on production. They're not the only ones - I saw one recently in France that do the same thing. I don't know how their managing - they must be playing to fairly big crowds to get the money together to make the videos and have the video screens. Must have a crew! It's a fine line. I think they are fulfilling a fan's needs by being there when we are not on tour. Keeping the fans satiated while we're taking a break. It's just weird. I wonder: do they know who they are when they go to bed at night? Where do you stand on band's like The Killers who have talked about your influence on their work? I like The Killers. I like Brandon as well. In fact in a few days time I've been asked to play with my son at a benefit at a local place here in Santa Barbara. One of the songs we're going to play is 'On The Floor' by Brandon Flowers. So it's going full circle! Have you ever seen The Killers live? I went to see The Killers play live five years ago at the Hollywood Bowl. I just couldn't believe how the show was up there all the time. There wasn't a lull in the show at all. It just seemed like every song was a classic. The audience - we have a fantastic audience and I don't often see bands that have audiences that participate like ours do. Because of the energy in their show the audience was just like that. I was blown away by their show. What is the strangest gift you've got from a fan? 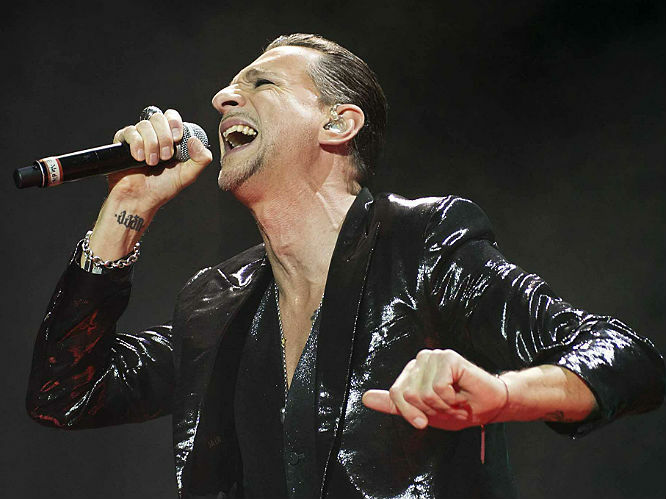 The one thing I always remember - and this is a long time ago now because Alan was still in the band - some Canadian fans gave us The Depeche Mode bible. It had The Book Of Dave, The Book Of Andy, The Book Of Martin and the Book of Alan. They'd spent a lot of time and put a lot of work into this book: it had a metal cover and I just thought that was a lot of work. I probably shouldn't say this I'll get thousands but I got given some dolls of the band. I put them up in the studio because they just look crazy y'know? In your webchat you talked about how you were watching old sci-fi films with your son including the Terminator trilogy. Didn't you find Terminator 3 very disappointing? Was there any science fiction that has dated horribly? There were some that I tried to get my son to watch that are reknowned for being awful. I used to years ago have a bad sci-fi night where 20 of my mates would be there and we'd all bring a film each week. It was quite funny. I recently tried to get him to watch Plan 9 From Outer Space but he only survived about 20 minutes of that one. I think the younger generation struggle with black and white for a start. Black and white AND bad? That's just too far! You've also said you would consider a film score if "the right film came along at the right time". Have you had turned down many? I've never been offered anything good. Really honestly I remember being offered one film I think it was in the Nineties and I think it may have been scifi. It was really bad and I didn't even give it a second thought. It's just something that I've never been offered. You cite Morricone, Vangelis and David Lynch as key influences. With Lynch what are you a particular fan of? I pretty much like everything that David Lynch does. I find him such an interesting character. 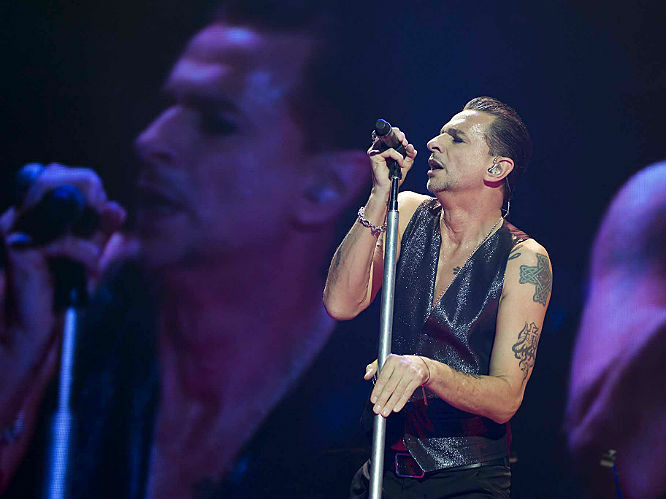 I loved his last two albums, especially the last one [The Big Dream]. I like the words, I like his voice: he's just extremely creative in everything that he does. Everything he does he does well. Anyone else - if someone else decided to restart a project from 20 years ago you'd be thinking 'Oh, obviously needs the money.' But with David Lynch you know it'll be done very well and it will be done with integrity. You've also praised Geoff Barrow's Drokk project in the past. What is it about his production you particularly like? I love that album. To me it sounded very modular. That for me had a real John Carpenter feel: like a homage to that genre in the Seventies. I imagine - it wasn't Eurorack - I imagine big modulars being used down in Moog or the dotcom modules you know. I don't believe I've met Geoff but there was one interview I watched quite a few times which I thought was really funny with Adrian Utley. He was in his studio and he was talking about his Eurorack obsession and how he can't sleep at night sometimes because he's imaginging which module to move where, how there's a little bit of space and what should go in there. Is that close to home? Absolutely. It's a cliche now and it's used all the time but people call it "Eurocrack". It really is like that. I don't know how many times a day I check to see if there is anything new coming out. There's a site called Modular Grid and you can go on there and they will tell you what's in the works. Then I might go on and have a look at a couple of websites just to see if there's any new modules that have come out that day because a lot of the time - and this is addict talk by the way - the companies that make some of the modules are very small. And there are very limited runs. If you don't get your order in you might not get it. You have to hope they come out with a second run. But that's the addict calling. I'm sure I could get it if I didn't look for a few days. 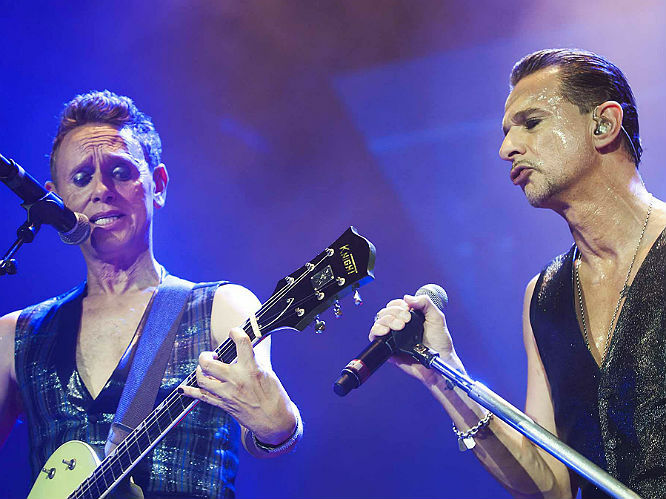 In your Vice piece you talk about how you're just starting writing the Depeche record. Could you give us an update? I've literally just started writing a couple of weeks ago. I'm having a short break right now because I've decided that if I'm going to write for the band again and we're not going to get into the studio for at least a year or maybe more, maybe I should upgrade my computer system. The last one I probably bought in 2009 - and it's about time! Whenever you do that it's a complete nightmare trying to get everything authorised. Of course it came loaded with Yosemite which everyone knows: nothing works with Yosemite! So we had to take it back to Maverick, which has caused more problems. Most things are starting to work now. So this week has been a week off of writing but I have started. MG by Martin Gore is out now.